"England are going to Russia with a bubble of optimism which is familiar from previous tournaments, but there is more substance to it this time…"
If Gareth Southgate and his support staff have cultivated an optimistic attitude and modelled that behaviour in order to influence the players, then I have no doubt England’s chances of having a successful Summer in Russia have increased. When Jonathon Liew made his comments regarding a bubble of optimism surrounding the England camp, I would expect that he wasn’t aware of the power of optimism and it’s potential to predict success. Dr. Martyn Newman – clinical psychologist and internationally renowned expert in the fields of emotional intelligence (EI) and mindfulness– carried out a global research study of 6874 professional people. Newman and colleagues examined the relationship between participant’s levels of EI and their leadership performance. Within the research, participants’ EI was measured using the Emotional Capital Report (ECR) – the scientifically rigorous, psychometric tool that Newman and Judy Purse co-created based on 10 years of applied research. The ECR https://www.rochemartin.com/tools/emotional-capital-report-ecr/ measures an individual’s overall level of emotional intelligence, as well as their competency across 10 social emotional skills highly correlated with workplace performance. The competencies include: Self-Knowing, Self-Confidence, Self-Reliance, Self-Actualisation, Self-Control, Straightforwardness, Relationship Skills, Empathy, Adaptability and Optimism. Results from the study indicated that leaders high in optimism outperformed the rest by a considerable amount. Within Newman’s model of EI, he conceptualised optimism as an emotional skill which can be learned and importantly - developed. Specifically, he defined optimism as the ability to sense opportunities in the face of adversity, maintaining an overall positive attitude and high expectations of what can be achieved. So when we refer to optimism as a skill that can be learned and developed, and consider how it should be operationalised by the England team to increase their chances of achieving their goals, we are not referring to the old Monty Python adage of always look on the bright side of life. Instead England, and any other team or individual looking to enhance their performance for that matter, should adopt optimism as part of their overall strategy. Optimism is a way of dealing with difficulties and sensing opportunities. It’s about having a vision, foresight and the emotional toughness to fight the gravitational pull of negativism, despite challenges and setbacks. But how do we build and strengthen it? Cultivating the emotional skill of optimism involves altering our beliefs and perceptions of the world. Instead of viewing negative events such as a poor performance as permanent, optimists redefine the situation as a temporary setback – they look for the benefit, step back and reappraise it not as a catastrophe, but as a challenge and opportunity. Optimists are able to re-direct their focus from mistakes, reflect on their performance and learn the lessons for future action. Once they have carried out this cognitive process, optimists have the internal drive to commit to renewed action. If England are to succeed at the World cup, the coaching staff and players will have to adopt these principles when faced with moments of adversity. Cultivating self-awareness – the platform for developing emotional intelligence – enables people to recognize, understand and manage their emotions, thus gaining an understanding of how they impact their behavior. Optimists have developed awareness of the self, giving them the capacity to clear their mind of negative emotions and focus on the task to be performed. They are able to see the opportunities within the task that lies ahead. 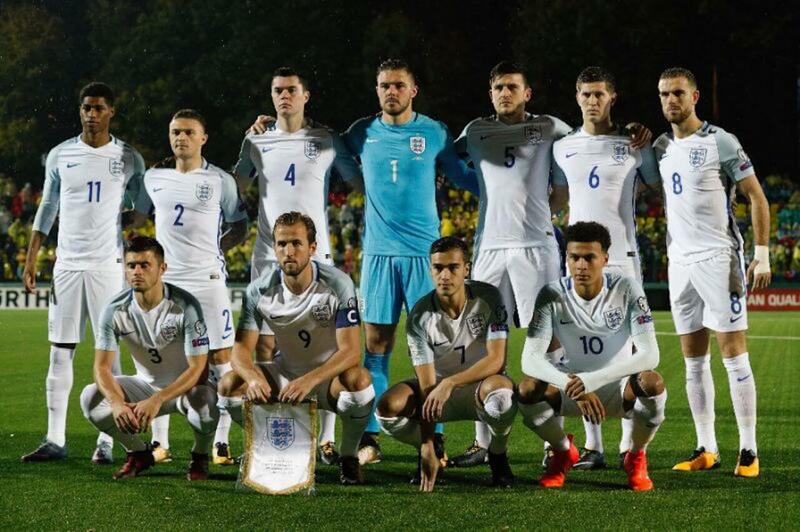 In the case of England’s playing and coaching staff, self-awareness will be key, enabling them to manage the negative emotions they will inevitably face and focus their attention on the task that lies before them. To put this concept into context, let’s fast-forward to June 28th when England will take on Belgium in the final Group G clash. The pressure is on, its likely that they will need to win to finish top of the group to avoid some potential footballing superpowers in the first knockout stage. They go into half-time 1-0 down, their tournament progress hanging by a thread. Within the second half task that lies ahead, a group of optimistic individuals – including coaching staff and players – will be clear about their mental strategy. They will able to put the second half behind them. They will refocus, concentrate on their processes, identify the opportunities, and commit to an action plan that gives them the best chance of seizing them. If England are to achieve their goals at the World Cup this summer, supporters across the country will need to hope that Jonathon Liew is correct when he says that they leave engulfed in a bubble of optimism. Joe Davis, MSc is Head of Sport Psychology at RocheMartin - the global leader in implementing emotional intelligence and mindfulness training. We work with individual athletes, sports teams, professional associations, Fortune 500's, and within education to unlock potential, develop emotional talent and enhance overall well-being. Joe is responsible for carrying out global research studies examining the relationship between emotional intelligence and performance, as well as designing and delivering impactful training programmes that lead to considerable behavioural change. If you found the content in this article interesting and would like to discuss emotional intelligence training in some more depth, then please feel free to get in touch at joe@rochemartin.com. Newman, M., Purse, J., Smith, K., & Broderick, J. (2015). Assessing Emotional Intelligence in Leaders and Organisations: Reliability and Validity of the Emotional Capital Report (ECR). The Australasian Journal of Organisational Psychology, 8.